Roxanne Fairweather is best-known as one of New Brunswick’s most-accomplished business executives, having contributed to several companies, boards and groups in New Brunswick. She is the co-CEO and co-owner of Innovatia Inc., which is headquartered in Saint John, and has been involved in many business interest groups, including Propel ICT. 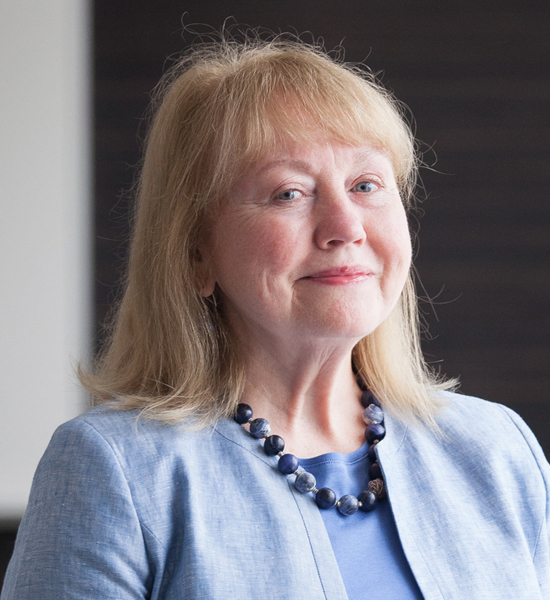 Fairweather also served as board chair during the amalgamation of all non-clinical shared services in the regional health authorities by FacilicorpNB Ltd.
She is past chair of the University of New Brunswick board of governors. She has served as a director of Brunswick Pipeline and LearnSphere Canada. Her passion for education has led her to forge a partnership between Innovatia and the Elementary Literacy Friends program, which focuses on increasing literacy throughout the province by providing volunteer tutors to Grade 2 students. Fairweather was named one of Atlantic Canada’s 50 most accomplished business executives by Atlantic Business Magazine in 2005, 2013 and 2014. She was also named EY Entrepreneur of the Year 2013 for the Atlantic region, has been inducted into the New Brunswick Business Hall of Fame and was named to the Order of New Brunswick in 2014.